Steam or boil the broccoli until tender crisp. Rinse briefly in cold water to stop the cooking, drain well, and place in a large bowl. While broccoli is steaming, fry the bacon until crisp. 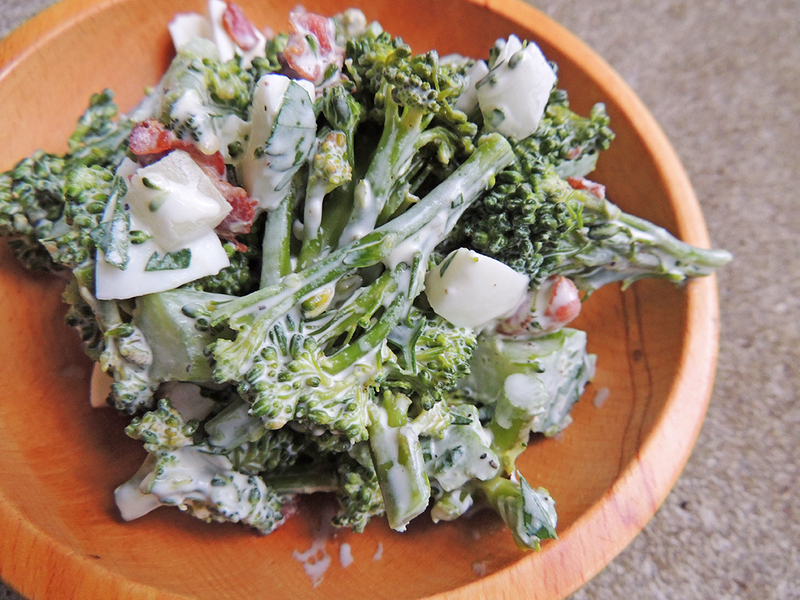 Add bacon to the broccoli along with the onion, chopped egg, parsley, mayo, vinegar, salt and pepper. Toss to coat. Taste and adjust salt, pepper, and/or vinegar if needed.